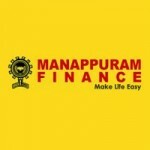 Manappuram General Finance and Leasing Limited started recruitment of 1000 Probationary Officers in Grade-1, Grade-2, and Grade-3. With 9 companies under its fold, having more than 1700 branches across 17 states of India, a total business exceeding Rs. 7000 crores and a live customer base of 40 lakhs, the Manappuram Group is one of the largest finance and leasing companies in India.